V. Press is very very delighted to end the year with some review news and top title ratings for our poetry range. Scare Stories by David Clarke, which was longlisted in this years Saboteur Awards, has been named a The Poetry School Book of the Year 2017. "Clarke’s eerie sequence of vignettes can be read in any order, juxtaposed and rearranged like Tarot cards to reveal further details and dangers, without ever giving away the bigger picture; if such convenient knowledge were even possible (there will be no newspapers announcing the last day on earth)..."
Will Barrett, The Poetry School, full review here. 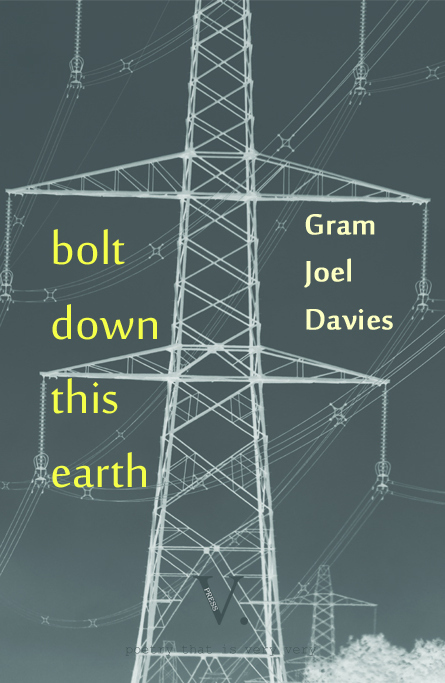 Bolt down this earth by Gram Joel Davies and Antony Owen's The Nagasaki Elder are also on the longlist (top 100) for The Poetry School Books of the Year. 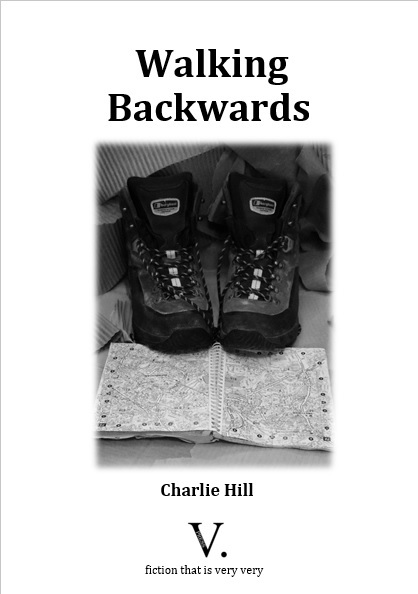 V. Press was very very pleased to see Charlie Hill's short fiction pamphlet Walking Backwards reviewed in The Irish Times. "...intensely observed fragments of ordinary lives, and all give pause for thought. Standout stories are The School Run, its effect achieved more by what’s left unsaid than what’s actually said, and The Allotment, with its sting-in-the-tail ending..."
Brian Maye, The Irish Times, full review here. All of the titles above may be purchased through our bookshop or by clicking through to each individual title using the links above. A wonderful very considered and very detailed review of David Clarke's Scare Stories has also just been published on Sabotage Reviews. The review by Becky Varley-Winter concludes: "...his sustained use of form is also quite admirable. With controlled nerve, Clarke offers a sequence of quick, dark bites, with glinting teeth." The full review can be enjoyed on Sabotage Reviews here, and the pamphlet ordered through the paypal link below. 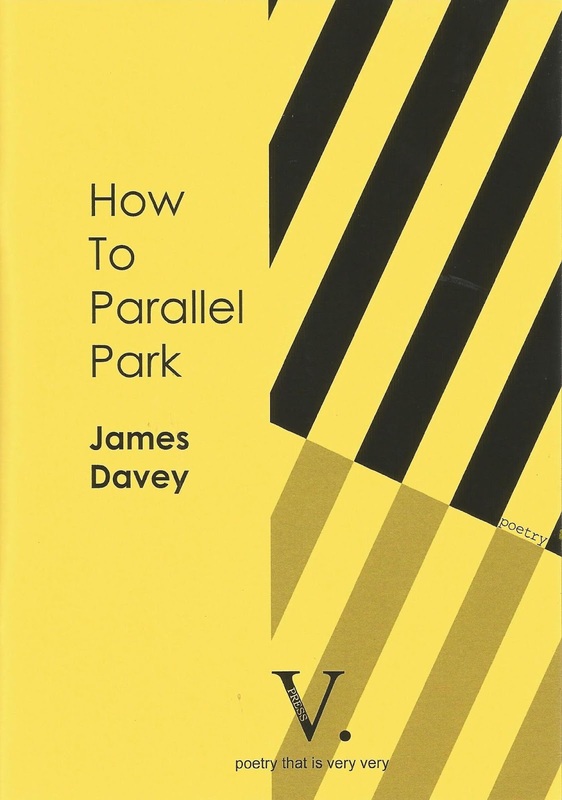 V. Press is very very happy to end one year and start the next with news that our first 2018 poetry pamphlet, How to Parallel Park by James Davey, is now available for pre-order. V. Press was very very delighted to head to London this week for Michael Marks Awards dinner, having been shortlisted for this year's Publishers' Award. The award is a highlight of the poetry pamphlet publishing calendar and runs from July to July. Our very very big congratulations to The Poetry Business who won the 2017 Michael Marks Award for Poetry Publishers and to Charlotte Wetton (winner of the pamphlet award) and Rose Ferraby (winner of the Illustrators award). More details can be found on the Wordsworth Trust website, and a very very big thanks to all involved. Running a small press involves a lot of seen and unseen work. So, being shortlisted for the award alongside three established presses (The Poetry Business, Rack Press and Mariscat Press) feels like real validation for both V. Press and our authors. The pamphlets that V. Press had in for this year are: Alex Reed's A Career in Accompaniment, Nina Lewis' Fragile Houses, David Clarke's Scare Stories and Stephen Daniels' Tell Mistakes I Love Them. At the awards dinner, M.D. Sarah Leavesley asked to give a 3-minute presentation on V. Press's pamphlets from the Michael Marks Award year. She said: "My name is Sarah Leavesley and I’m very very pleased to be here to share what we do at V. Press. "I run, edit and market the press, with my friend and colleague Ruth Stacey taking charge of design and producing most of our fabulous poetry covers. 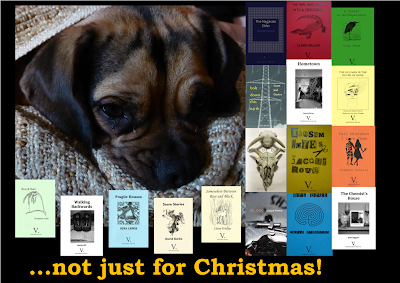 "In 2015, we published three poetry pamphlets, then expanded to include poetry collections and flash fiction pamphlets with 5 titles in 2016 and now 9 titles this year. "We publish work that is ‘very very’. And people often ask what this means – essentially it’s work that knows what it wants to do and does that well. "The four pamphlets from this Michael Marks Award year are typical not only of what we publish but also of the breadth offered by the pamphlet as a form in itself – a form that I get very excited about. 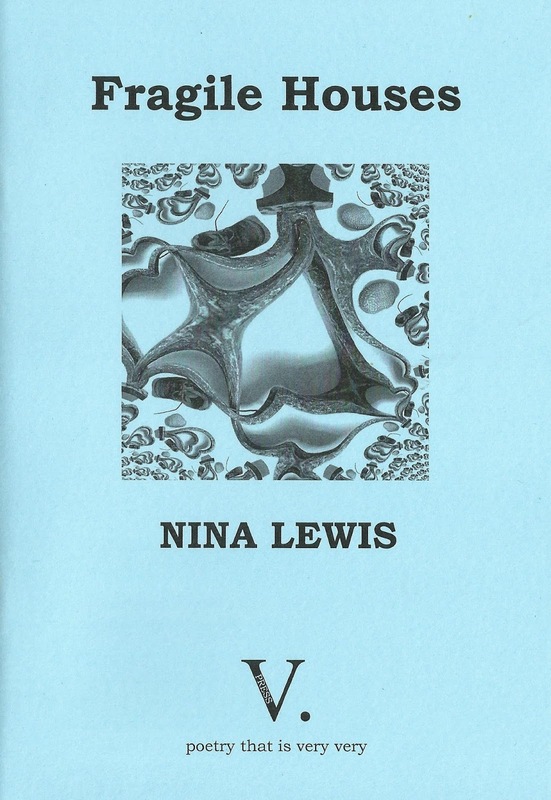 "Fragile Houses by Nina Lewis is a vivid mix of tenderness and sharpness. These very authentic and very fervent poems fall naturally into small groupings of presence and loss. Rather than breaking this selection up into short sections, we used a sequence of photographic illustrations inspired by the poems to run through and between the poem groupings – like beads on a thread. 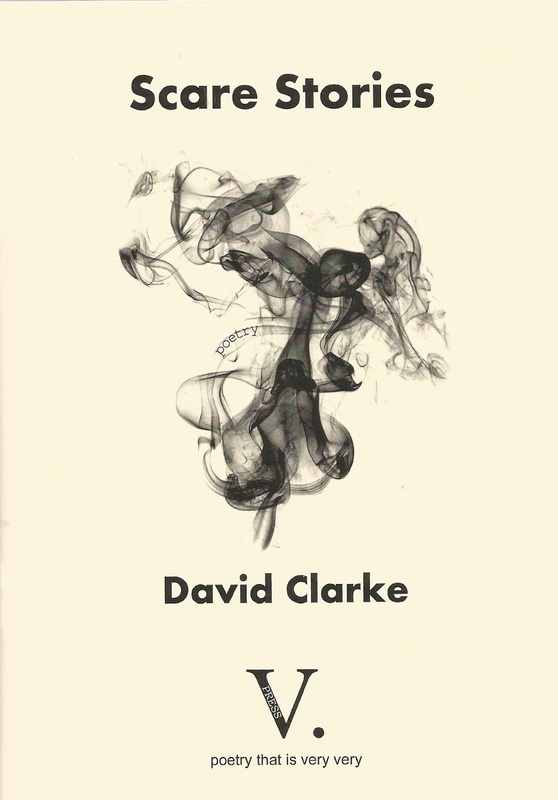 "David Clarke’s Scare Stories is a pamphlet-length sequence of untitled poems in which alternate-present-reality and possible future collide. As the title suggests, this is very unusual and very unsettling. Scare Stories was longlisted in the Sabotage Review pamphlet prize, despite only being published just before nominations closed, and David also worked with a film-maker to produce a performance version. 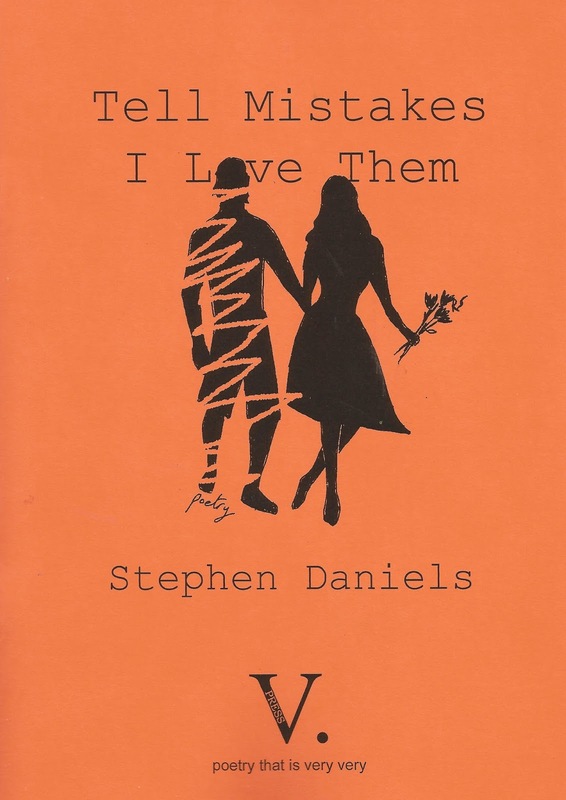 "Finally, Stephen Daniels’ exciting debut Tell Mistakes I Love Them is a loosely-themed pamphlet which exposes social nerves through linguistically refreshing poems that are very vulnerable and very poignant. "I’m very very passionate about what we do at V. Press and proud of all our authors. We’re a small press with very very big aspirations. I’m delighted to have shared a short snapshot of this with you today, thank you." Fragile Houses is very authentic and very fervent.The pamphlet includes a photographic sequence from S.A. Leavesley that is directly inspired by the poems’ vivid mix of fragility and sharpness. A Career in Accompaniment is a pamphlet of love, loss and surprising lightness. Based on Alex Reed’s personal experiences, these poems witness what it is like to care for a lover with severe illness. This poetry of “fragile places” is very intimate yet very universal. * Musician David Scott has also produced a CD, Where the Waters Meet, with songs inspired by poems from A Career In Accompaniment. For more information about this, please email Alex Reed on areedhexhamATgmailDOTcom. We're very very delighted to start the advent run-up to Christmas 2018 with the launch of Claire Walker's second V. Press pamphlet Somewhere Between Rose and Black. A sample poem from the collection may be enjoyed below. the gnaw of teeth against the night. taste early shoots on my tongue. 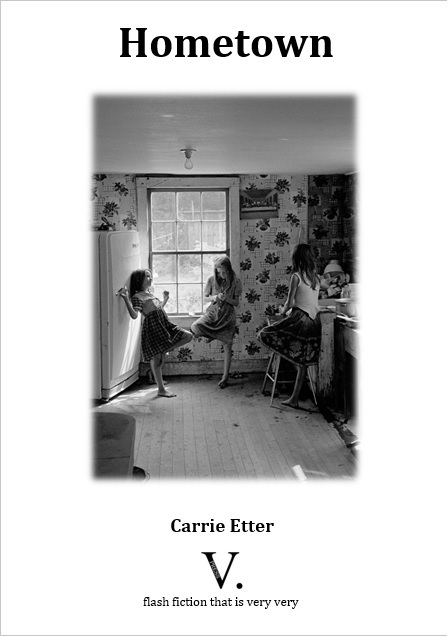 V. Press is very very pleased to share extracts from a Flash: The International Short-Short Story Magazine review of Carrie Etter's Hometown. "Praise too for V. Press – publishing poetry since 2013, they now offer a valuable new platform for quality flash fiction and have produced here a well-designed, well-presented pamphlet. "... Hometown's stories are the real thing, the work of a skilled wordsmith and witness." A sample fiction and more about Hometown can be found here. As we shared last week, V. Press is very very delighted to have been shortlisted for the Michael Marks Publishers' Award. The award is a highlight of the poetry pamphlet publishing calendar and runs from July to July. The pamphlets that V. Press had in for this year are: Alex Reed's A Career in Accompaniment, Nina Lewis' Fragile Houses, David Clarke's Scare Stories and Stephen Daniels' Tell Mistakes I Love Them. Our special offer on each of these four pamphlets is available here. V. Press poet Jacqui Rowe hosts her final Poetry Bites on Tuesday, 28 November, after more than ten years running the Birmingham poetry night. Jacqui will be one of the guest poets reading from her V. Press collection, Blink. The other guest will be Antony Owen, who has been a great supporter of Poetry Bites over the years, and given some memorable readings, both as a guest and from the floor. 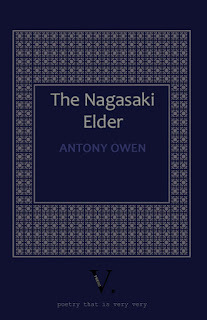 Antony’s collection, The Nagasaki Elder, has also recently come out from V Press. Food will be served from 6.30pm and the event begins at 7.30pm. Entry: £5 (£4 concs) including readers. Venue: The Kitchen Garden Cafe, York Road, Birmingham B14 7SA. Please contact Jacqui Rowe (jacquiroweAThotmailDOTcoDOTuk) if you’d like a floor spot. The Poetry Book Society is delighted to announce the release of the new look Winter Bulletin featuring exclusive poems and unique commentary from major worldwide poets! The Poetry Book Society was founded by T S Eliot in 1953 to ‘propagate the art of poetry’. Members get the best contemporary poetry books delivered straight to their door every quarter alongside the bulletin magazine. To celebrate the new look bulletin, we’re offering V Press Blog readers a special 10% discount rate across all our membership options. Simply enter the code VPRESS at the checkout here. Christmas gift membership options are also available. The Winter Bulletin will be launched from 7pm on the 8th December at the Poetry Society Café in London. We do hope you can join us for a stellar performance from five internationally acclaimed poets: PBS Choice Sasha Dugdale, PBS Recommendations Paul Deaton, Tim Dooley, Ahren Warner and PBS Special Commendation Fleur Adcock. Tickets are available here. V. Press is very very delighted to have been shortlisted for the Michael Marks Publishers' Award. It's been a delight to publish these pamphlets and V. Press is very very proud of all its authors - the press is its writers, readers and all those involved with it, including our fabulous poetry covers from V. Press designer Ruth Stacey. Other presses shortlisted are Mariscat Press, The Poetry Business/Smith Doorstep and Rack Press. The awards are run by The Wordsworth Trust and The British Library, with the generous support of the Michael Marks Charitable Trust, in association with the TLS and Harvard University's Center for Hellenic Studies (CHS), in Washington DC and in Nafplio Greece. More about this year's shortlisted presses and individual pamphlets can be found here. The judges’ comments include: "The V. Press offering of four remarkably diverse pamphlets included a mix of established and new writers. 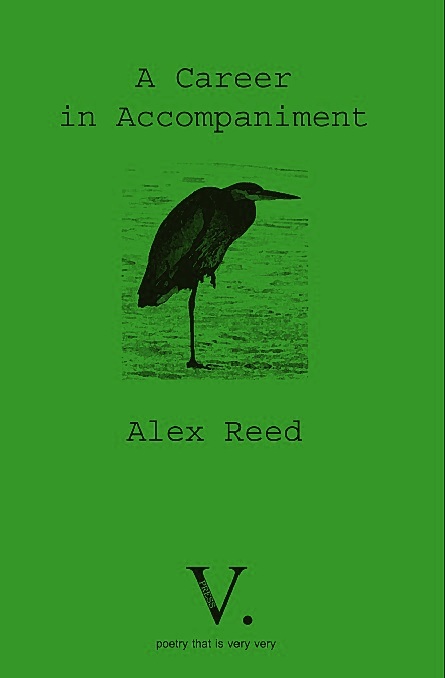 We fell in love in particular with Alex Reed's pamphlet ‘A Career in Accompaniment’ about looking after his wife - quiet poems, carefully crafted, with enormous emotional heft and dignity. " 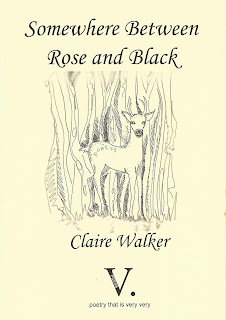 V. Press finishes 2017 with publication of Claire Walker's second V. Press pamphlet Somewhere Between Rose and Black at the start of December. 2017 has been our busiest year yet, with four poetry pamphlets, three full collections and two fiction pamphlets. The first V. Press poetry pamphlet for 2018 is How to Parallel Park by James Davey, followed by Jenna Plewes' Against the Pull of Time in summer 2018. Also for 2018, V. Press has Unable Mother, a debut poetry collection from Helen Calcutt, a poetry collection from Brenda Read-Brown, a flash fiction novella that draws on the techniques of prose poetry by Michael Loveday and a flash pamphlet from Tino Prinzi. Although titles for the start of 2018 have been scheduled, V. Press is hoping to re-open a general poetry submissions window early next year. The press will be looking for poetry titles for the second half of 2018 and going into 2019. For more information about new titles and submission windows, please follow V. Press on twitter at @vpresspoetry and sign up for the press newsletters (below or the side-bar on the right-hand side of the webpage). 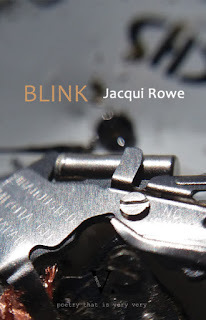 V. Press is very very delighted to launch Jacqui Rowe's debut poetry collection, Blink. that would be fruit for our descendants. told me I was ageing. frozen in memories of the sickle moon. and something he called roses. 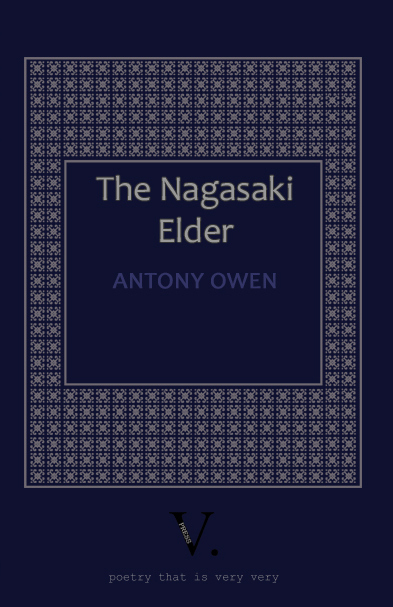 We're very very delighted to share more wonderful reviews of Antony Owen's The Nagasaki Elder. "He writes universally, but with an insider’s eye. In doing so, he has written a collection that bridges past and present, and could not be more timely." "As the world watches today in apprehension and disbelief as test missiles from North Korea pass over Japan, his motives must be applauded. Owen has taken care to distil his anger and pity. His poetry is not in-your-face protest, but crafted, lyrical, and resonant." More information about The Nagasaki Elder and a sample poem can be found here.